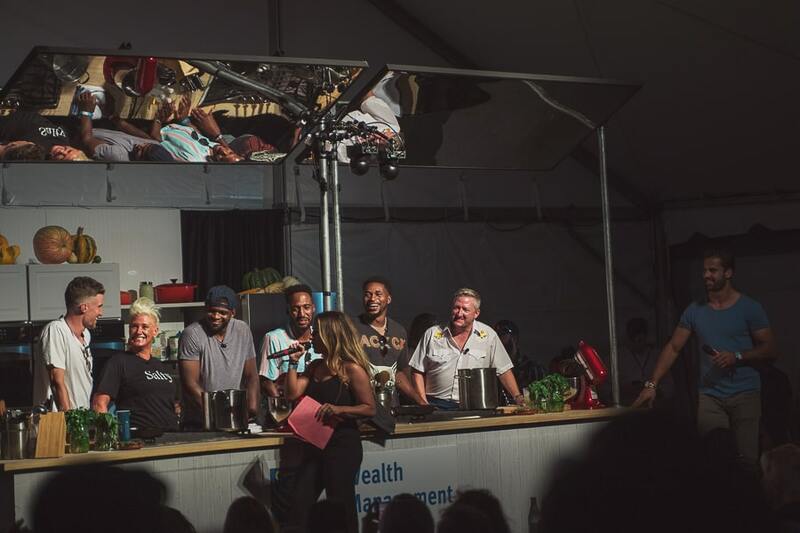 For the past six years Nashville has hosted one of the most fun culinary events we have ever attended. 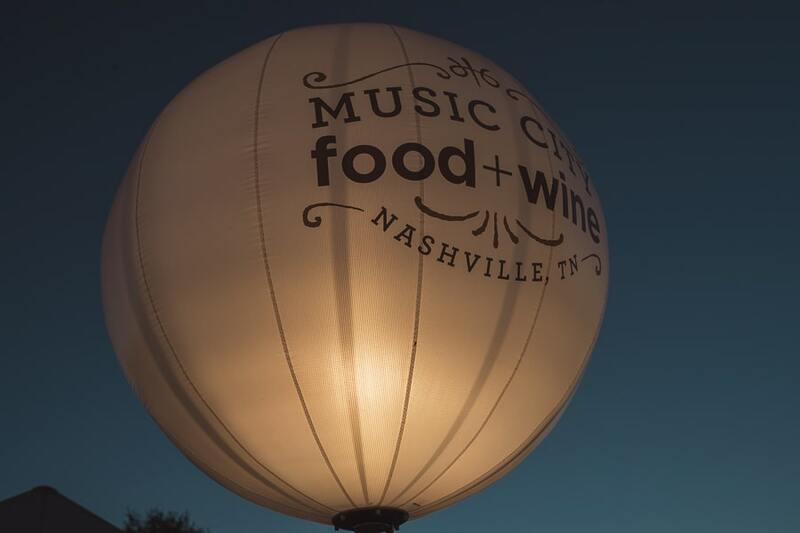 Music City Food & Wine brings together chefs, beverage producers and musical talent to show off their skills. In recent years there has been increasing participation from East Tennessee and this year was no different. Hold on to your hats, this was a fun fun event and we learned a lot about our friends old and new. The newly rebranded Blackberry Farm Brewery canned beers. Roy Milner of Blackberry Farm Brewery says he has been involved in Music City Food & Wine since it’s inception. 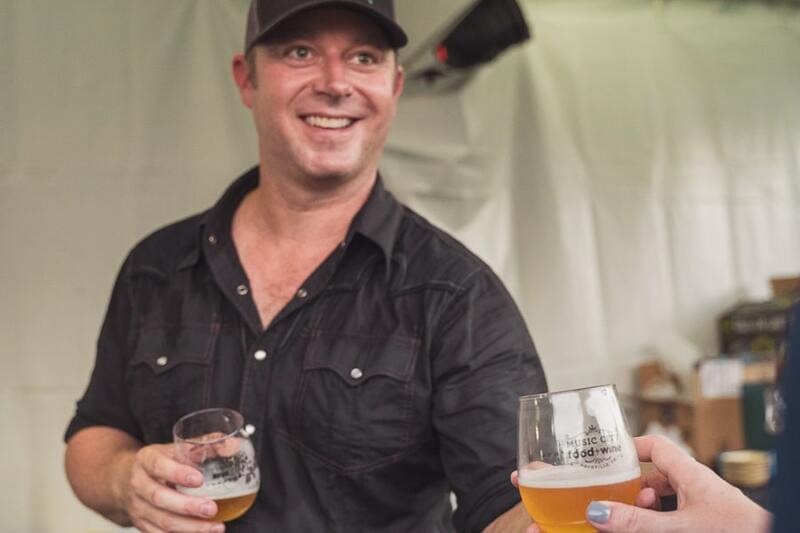 Through his friendship with Pat Martin (Martin’s Bar-b-que Joint) the Brewery poured their farmhouse ales and more at the Pat Martin & Friends Live Fire cooking event. Milner tells us that Blackberry Farm Brewery is undergoing some changes. 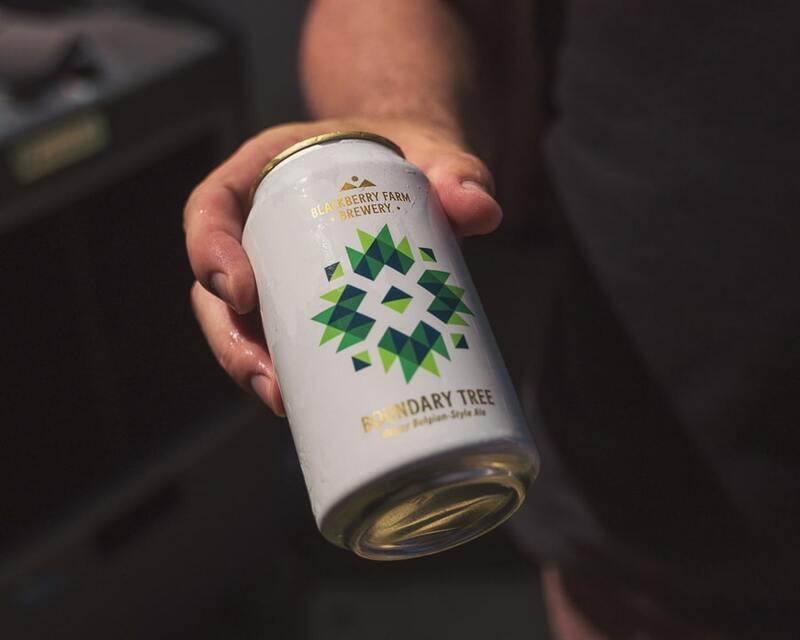 Logo, packaging, the works and they are doing it to solidify their craft beer identity. They’ve brought a canning system in house and will be canning the Classic Saison, Boundary Tree and Fenceline beers first for distribution then adding three more in the future. In addition to those changes, a taproom at the brewery (located in Maryville) is in the works and they hope to be open sometime in November. 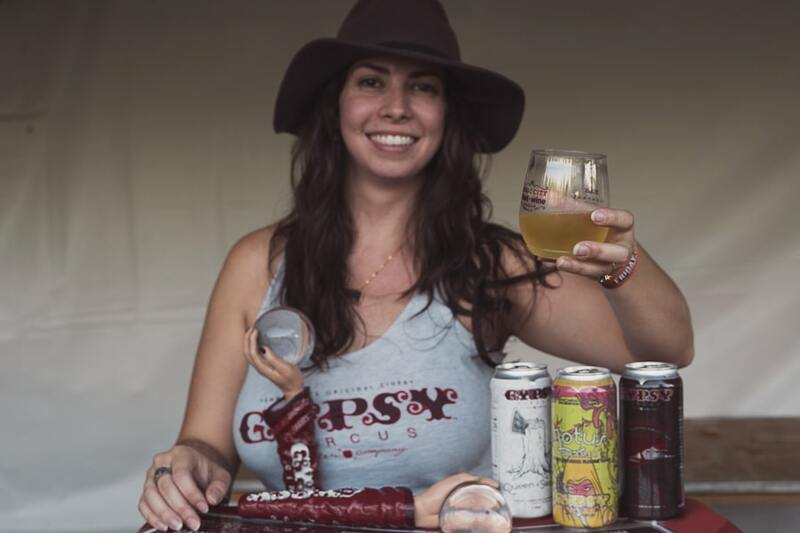 Also appearing near the site of Pat Martin’s live fire event were Yee-Haw Brewing and Gypsy Circus Cider. 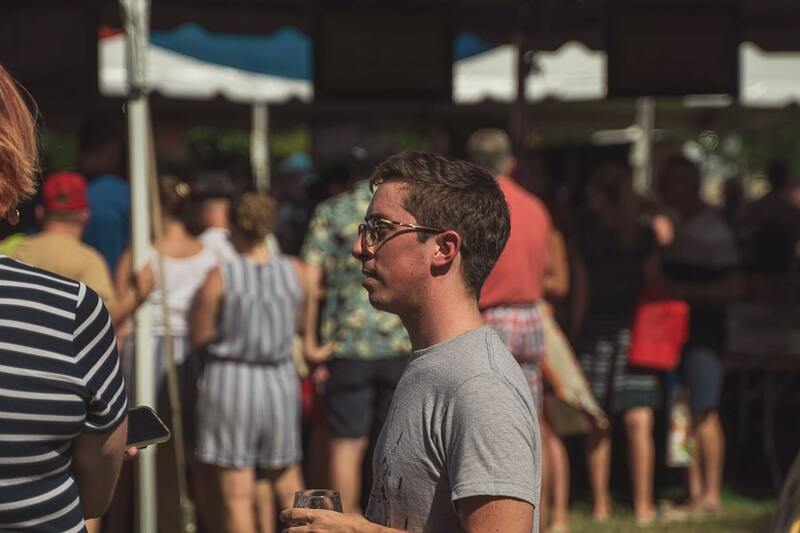 Hailing from Tri-Cities, these two producers have quickly become household names across the state. 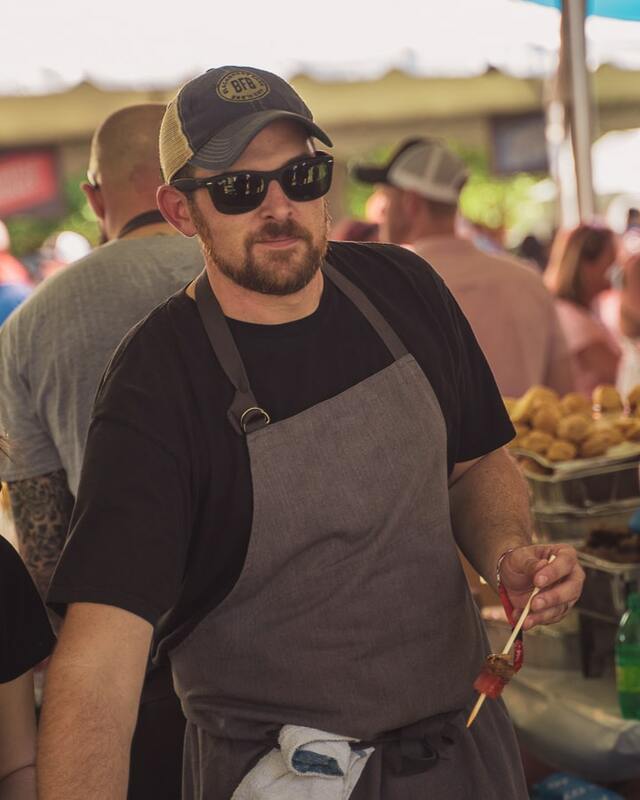 New to the festival this year, David Rule is the chef and owner of The Walnut Kitchen in Maryville, TN. He wanted to participate to get the word out about his one year old restaurant. 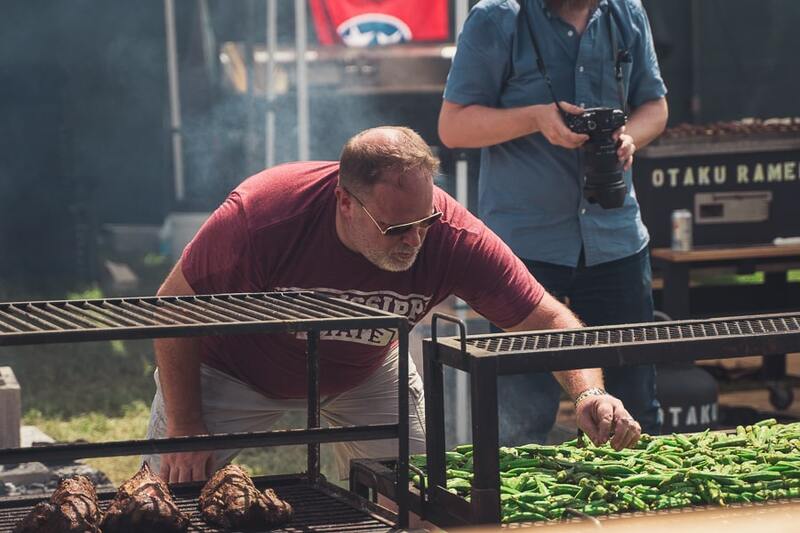 Like a lot of other chefs in the Knoxville area, Rule is an alum of Blackberry Farm. In fact he has worked there twice. the Farm for a while then left to work as Chef at the original Dancing Bear Lodge. Some years later there was a fire at the Lodge, destroying the property and Rule returned to Blackberry Farm as butcher. He hopes that his restaurant is providing a quality dining experience in a casual environment. Pushing the limits of what a small town views as dining is something he tries to do every day. 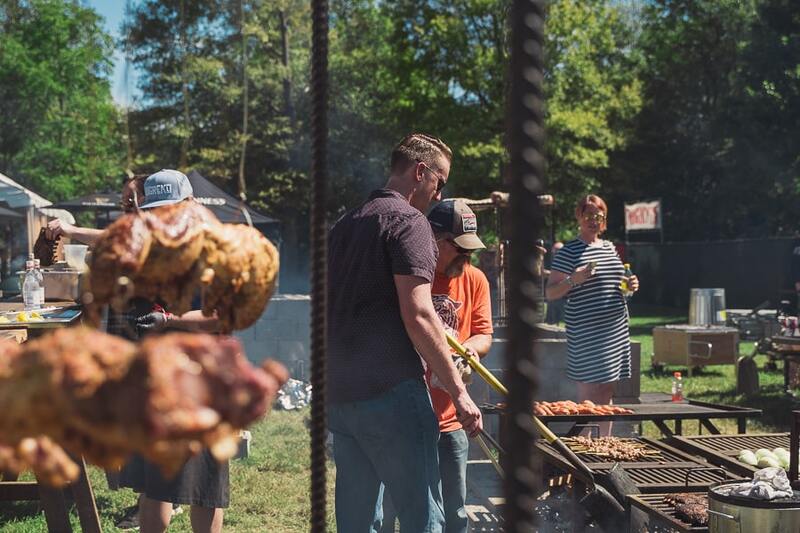 Meat and potatoes type dishes will always have a place at The Walnut Kitchen but plates like the smoked and braised short rib with compressed watermelon he served at the Festival are becoming a mainstay on the menu. 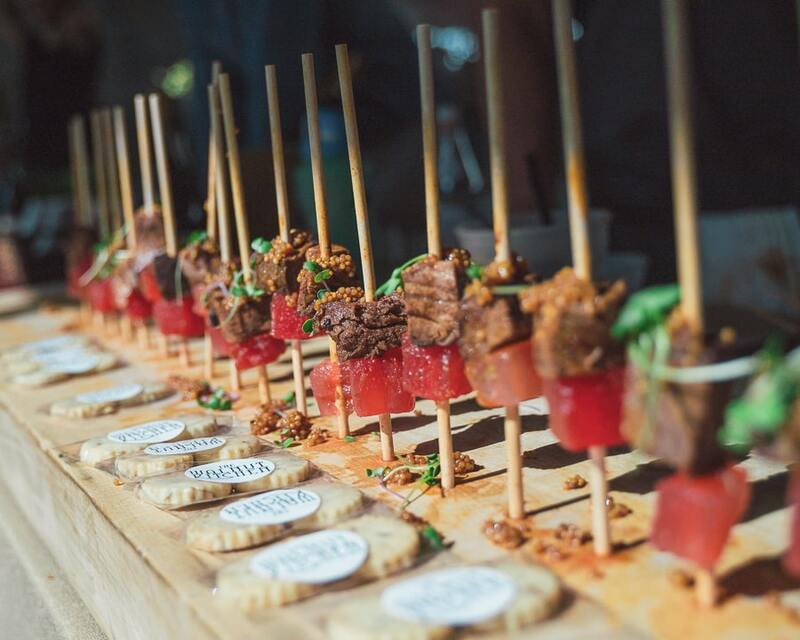 Short Rib and Watermelon from The Walnut Kitchen along with cookies for the road! Laurence Faber wasn’t always a pastry chef, he actually worked for David Rule at Dancing Bear Lodge pre-fire then he was hired on as pastry chef at the Farm. When they were asked to serve a sweet brunch dish at this year’s Gospel Brunch they turned to the 5 year pastry chef. 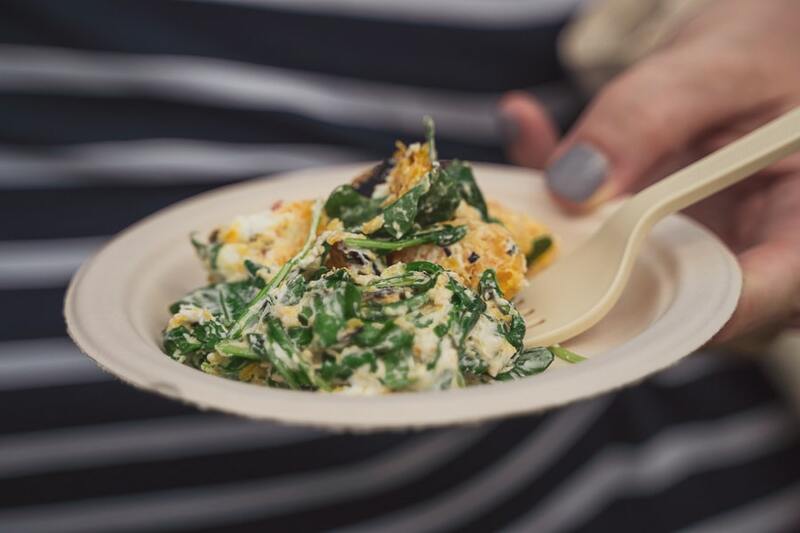 In fashion true to the cuisine on the Farm, Faber created a dish focused on using the whole peach. They had canned peaches during the height of the season then used the pits to infuse heavy cream with an almond-like flavor. He served it up with marigold flowers and farm raised honey. 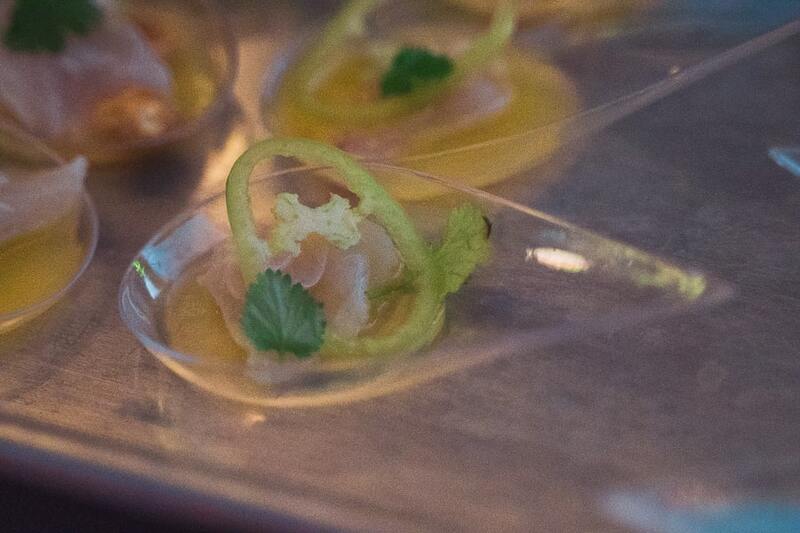 We, sadly, did not get the chance to try Laurence’s dish but we are certain it was on point. We asked Laurence what was new on the farm and his mind went to honey, specifically an apiary at the home of one of their gardeners. The flavor of the honey is unmatched he says and they are starting to incorporate it into a lot of their sweet things. He admits that they haven’t used many muscadines in the past but they are starting to come in and use of those is becoming a goal this season. 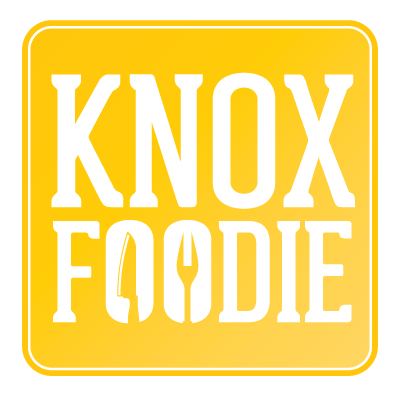 Chef Tim Love opened Lonesome Dove Western Bistro in Knoxville two years ago. Chef Love is a University of Tennessee alumni and you can see him regularly at the games and of course at “the Dove.” He said he was very appreciative of the support Knoxville has shown to his restaurant. 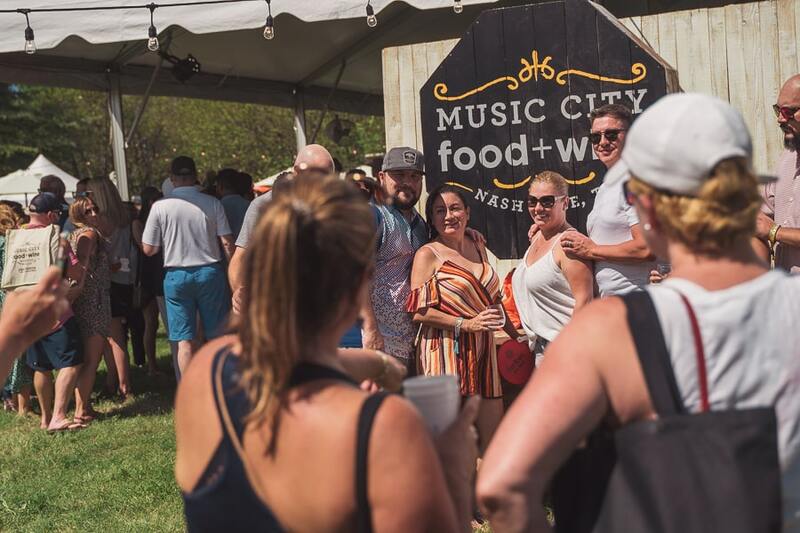 He is a mainstay at Music City Food & Wine and can be seen performing a demo or assisting in the DJ booth at any time. 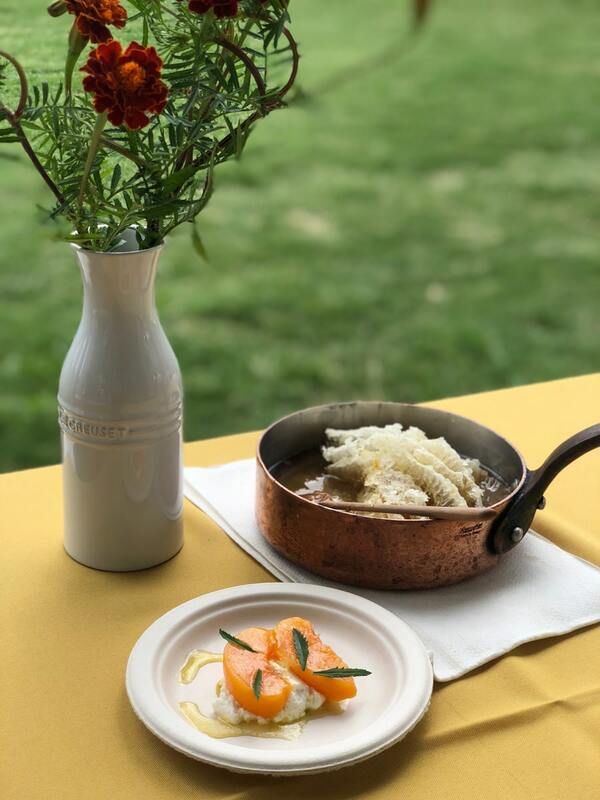 The Dove offered up brisket stuffed peppers during the Grand Taste and Tim served a super fresh snapper ceviche at the Harvest Night Celebration. Both dishes were seasoned to perfection and had just the right amount of heat. 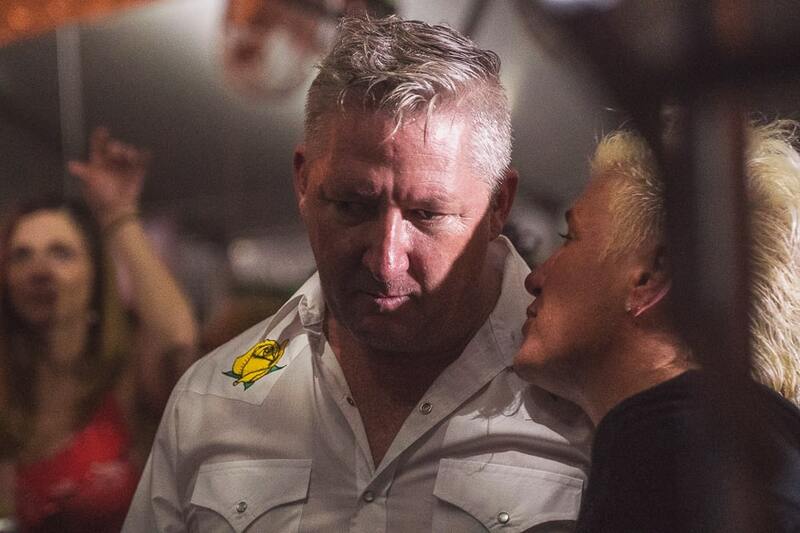 Chef Tim Love of Lonesome Dove Knoxville battled it out with Celebrity Chef Anne Burrell to a huge audience. 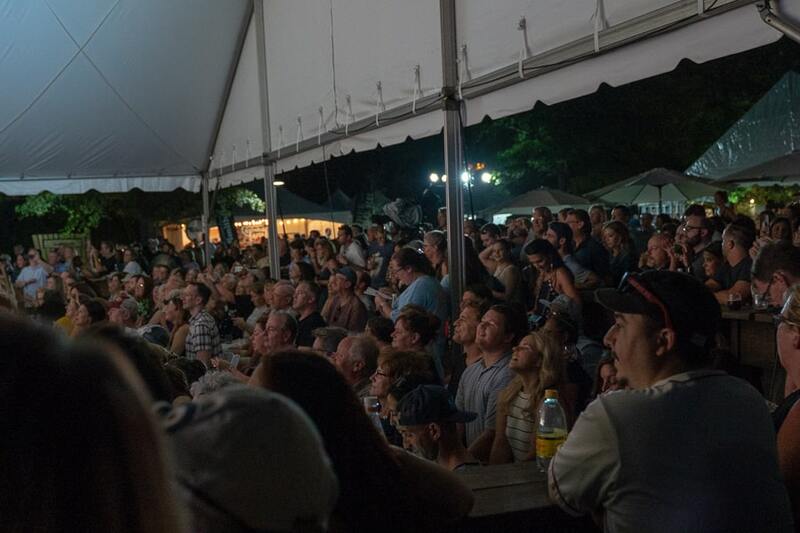 Music City Food & Wine is always a good time but this year was pretty special for us. We were so excited to see our friends from the Eastern part of the state and make some new ones. A big thank you to Roy, David, Tim and Laurence for taking time out of their very busy schedules to chat with us. When you’re thinking about your next meal or beverage we hope that you will give any of these guys a try. You will be glad you did. Cheers! Roy Milner helped out with the food too!